Mahatma Gandhi said “Live as if you were to die tomorrow. Learn as if you were to live forever.” I’m not sure if this is quite what he meant when he talked about learning, but I spent a day last week learning how to replace and image the hard drive on my laptop (via YouTube). I felt so nerdy and accomplished that I decided to tinker with an old laptop just for fun. I’ll provide an update on that project at a later date. I don’t know if I’m just a nerd and everyone else is out having fun without me, but I love learning new things. Last weekend, I spent a day learning about some tried and true techniques for polishing a picture book manuscript. 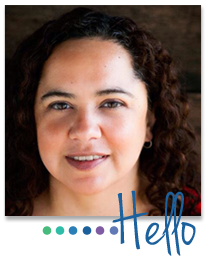 If you happen to be a picture book writer, check out www.marisamontes.com/writing_picture_books.htm. If it is true that you must know the rules in order to break them creatively, then her diagram provides a great foundation. Next week, I will spend the entire week learning all of the latest research on best practices for teachers. If last year was anything to go by, I should finish the week with at least a million ideas for enlightening the minds of my young charges. Finally, I have to mention the HTML class I started this summer. Maybe it appeals to my OCD because everything has to be perfectly in its place for the whole thing to work, but the class is ridiculously satisfying and fun. My point is that I agree with Gandhi. I hope that no matter how old I get, I will never be finished learning. I hope that when I’m eighty I’ll be taking a class or teaching a class on whatever sci-fi inspired technology is in vogue then, or reading about spirituality, psychology, or quantum physics. If I can accomplish that, then I will have lived as if I will die tomorrow.